There is no limit to the kinds of accidents -- some pretty strange and many beyond one’s capacity to invent -- that cause people injuries. From vehicle accidents to slip and fall mishaps, regardless of the particular facts, in deciding who is legally responsible the law looks basically at one commonsense question: Did the person involved in the accident act with reasonable care, or act carelessly in a way that contributed to the happening of the accident? Another way of putting this is to ask, "Was the person negligent?" In this article, we'll look at a few elements that make up the concept of negligence, and we'll provide some real-world examples. 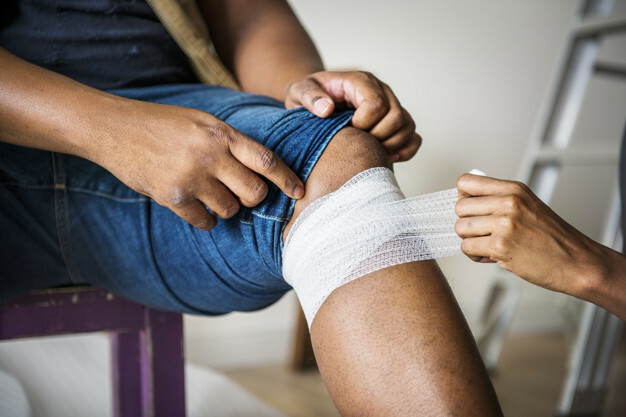 In some situations, the question of whether someone is legally liable for injuries may turn on whether there is a “duty of care” to protect against injuries for someone who is not expected to be in the place where the accident happens. Example: Sameer wanted to ask a question of the produce manager at his local supermarket. He knocked on the door of the produce back room, but no one answered. Although the door was marked “Employees Only,” Sameer went in. While he was looking around for someone, he leaned against a stack of crates. The crates collapsed onto Sameer, injuring him. Sameer would not have a good liability claim because the store had no duty to protect customers who ignore Employees Only signs and wander around where they are not supposed to be. In the basic negligence rule that everyone must take “reasonable care” to avoid injury to others, reasonable care can vary with time and place and with the relationship between people, so that the same conduct might be considered negligent in one instance but not in another. Example 1: Players are on a softball field. A foul ball accidentally strikes someone who was watching at the edge of the field. Because the players were acting reasonably in playing on a field and hitting a foul ball is a normal part of the game, they were probably not negligent. If anyone was careless, it may be the person who sat too close to the field where a ball was flying around. Example 2: One of the players in a softball game gets angry and throws his bat, accidentally hitting someone who is sitting at the edge of the field watching. Because throwing a bat in anger is not a “reasonable” part of softball, and because the person watching had a right to be there, throwing a bat is a negligent act, and the bat-thrower would be liable for the injuries caused. Example 3: People are playing softball in a parking lot and accidentally hit the ball onto the sidewalk, where it strikes someone walking by. The softball player who hit the ball would be considered negligent and held responsible. When the law balances the carefulness of people lawfully using the sidewalk against the carelessness of someone hitting a ball in an area where other people are walking, the person hitting the ball is obviously more at fault than the person walking by. If you show that you were careful and the other person was careless, the careless, or negligent, person must typically pay your injury damages. If a negligent person causes an accident while working for someone else, the employer is also legally responsible. If an accident is caused on dangerous property or by a defective product, the owner of the property or the maker or seller of the product is liable regardless of whether he or she actually created the danger or defect. If you were also careless, your right to be compensated is reduced to the extent your carelessness was responsible for the accident -- your comparative negligence. You do not need to “prove” anything, only to make a reasonable argument that the other person was negligent, even if there is a plausible argument that the other person was careful.